Home / Fanboying! 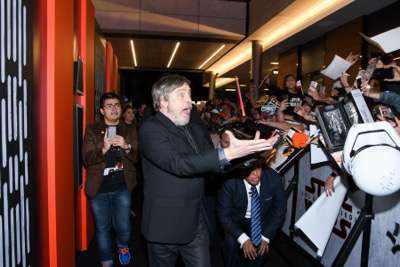 / Star Wars: The Last Jedi Mexico City Fan Event! Daisy Ridley! Mark Hamill! Rian Johnson! And More! 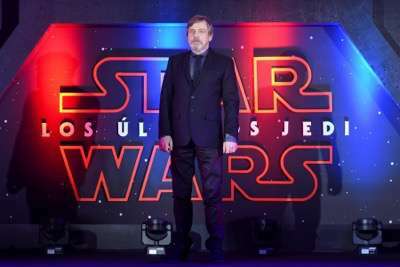 Star Wars: The Last Jedi Mexico City Fan Event! Daisy Ridley! Mark Hamill! Rian Johnson! And More! Star Wars: The Last Jedi headed down to Mexico City for a special fan event. In attendance was director Rian Johnson, Daisy Ridley, Mark Hamill and more! 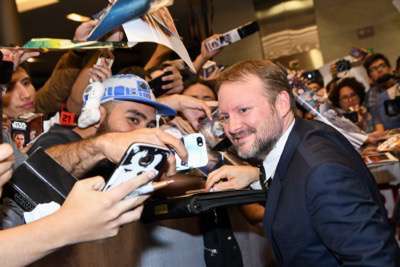 Mexico City – November 20th: Director Rian Johnson at the black carpet for the ‘Star Wars: The Last Jedi’ fan event at Oasis Coyoacán on November 20th, 2017 in Mexico City. Mexico City – November 20th: Actress Daisy Ridley, at the black carpet for the ‘Star Wars: The Last Jedi’ fan event at Oasis Coyoacán on November 20th, 2017 in Mexico City. 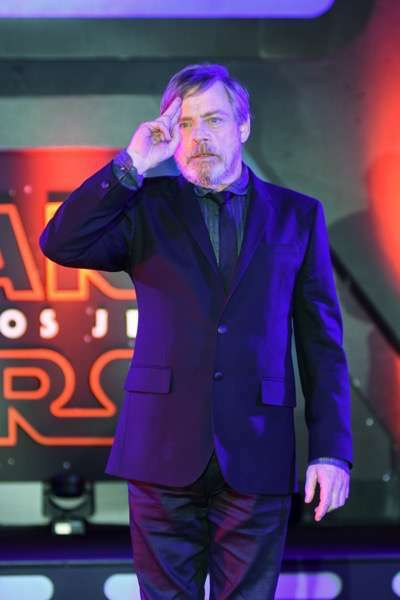 Mexico City – November 20th: Actor Mark Hamill, at the black carpet for the ‘Star Wars: The Last Jedi’ fan event at Oasis Coyoacán on November 20th, 2017 in Mexico City. 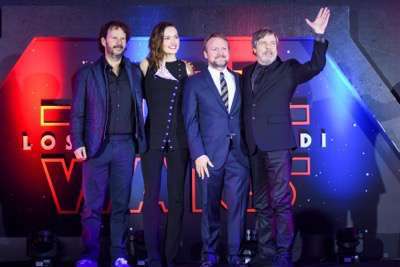 Mexico City – November 20th: producer Ram Bergman, actress Daisy Ridley, director Rian Johnson and actor Mark Hamill, at the black carpet for the ‘Star Wars: The Last Jedi’ fan event at Oasis Coyoacán on November 20th, 2017 in Mexico City. 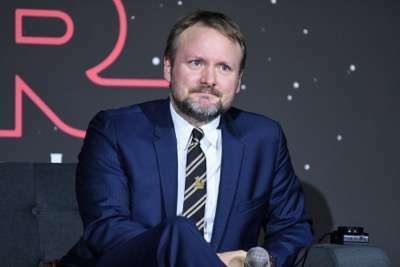 Mexico City – November 20th: Director Rian Johnson at the fan event for ‘Star Wars: The Last Jedi’ at Cinépolis Oasis Coyoacán on November 20th, 2017 in Mexico City. Mexico City – November 20th: Actress Daisy Ridley at the fan event for ‘Star Wars: The Last Jedi’ at Cinépolis Oasis Coyoacán on November 20th, 2017 in Mexico City. 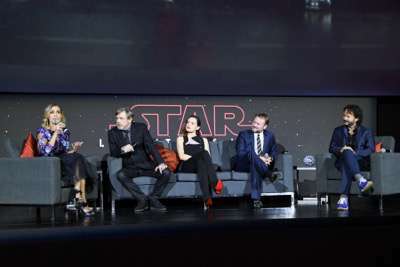 Mexico City – November 20th: Actor Mark Hamill, actress Daisy Ridley, director Rian Johnson and producer Ram Bergman at the fan event for ‘Star Wars: The Last Jedi’ at Cinépolis Oasis Coyoacán on November 20th, 2017 in Mexico City. Mexico City – November 20th: Actress Daisy Ridley and director Rian Johnson at the fan event for ‘Star Wars: The Last Jedi’ at Cinépolis Oasis Coyoacán on November 20th, 2017 in Mexico City. FOX’s Girls Night Out Q And A! Mindy Kaling! Jane Lynch! Alex Borstein! Chelsea Peretti! And More!